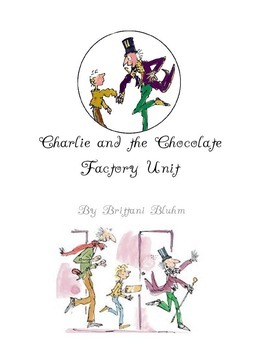 This all-encompassing unit is the perfect addition to any study of Charlie and the Chocolate Factory. 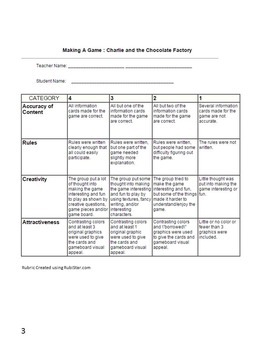 It includes rubrics, assessments, instructional ideas, links to related articles, creative activities, and much more! With over 20 activities that span math, ELA, social studies, and music, your students will have a blast making the connections. 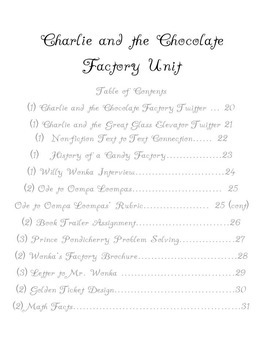 If you are looking for CCF related boring worksheets, this unit is NOT for you. 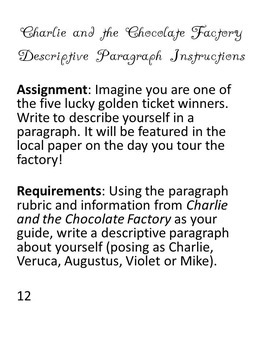 If you want to engage your students with a myriad of creative assignments, this unit is for you!